Cardinal Gates 13 year old inventor wins JPMA Innovation Awards again! 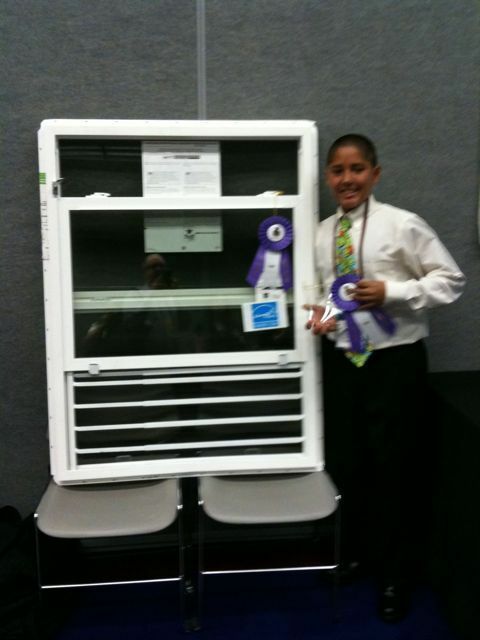 Home » GreatDad Blog » Cardinal Gates 13 year old inventor wins JPMA Innovation Awards again! Fresh off his award last year, Theron Trujillo just won the 2009 JPMA Innovation Award for this super simple to use, window guard. The window guard fits into the track of the window and requires no tools. An idea so simple, it took a 13 year old to think of it.